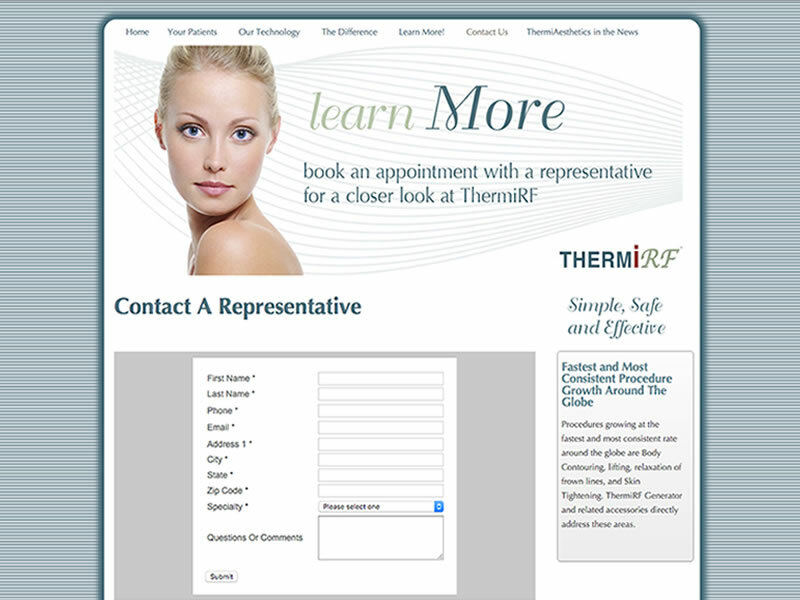 ThermigenRF is a lead generator website. It helps to identify warm leads for the sales reps. 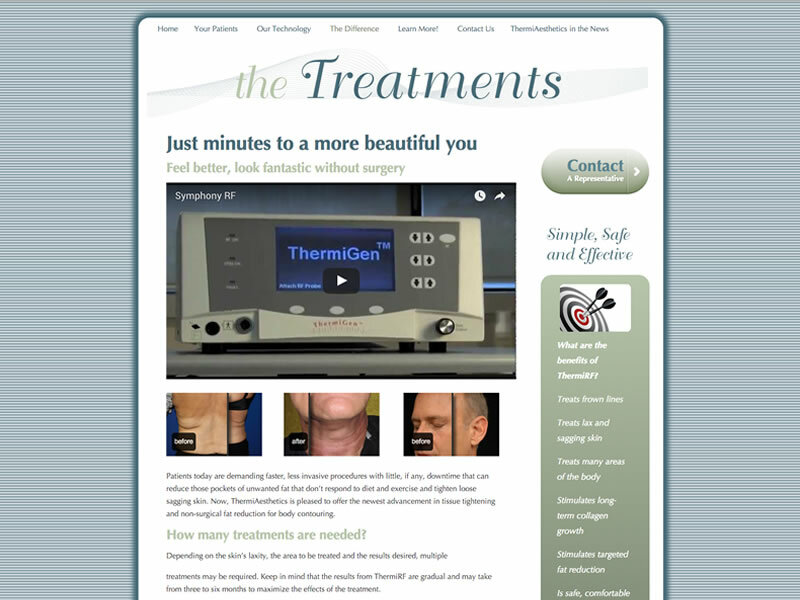 The reps communicate the URL to the doctors and clinics that they wish to get appointments with. Those that respond to the site are warm leads that help the sales reps prioritize their sales calls. An informative landing page with a strong call to action button is prominently displayed for lead generation. 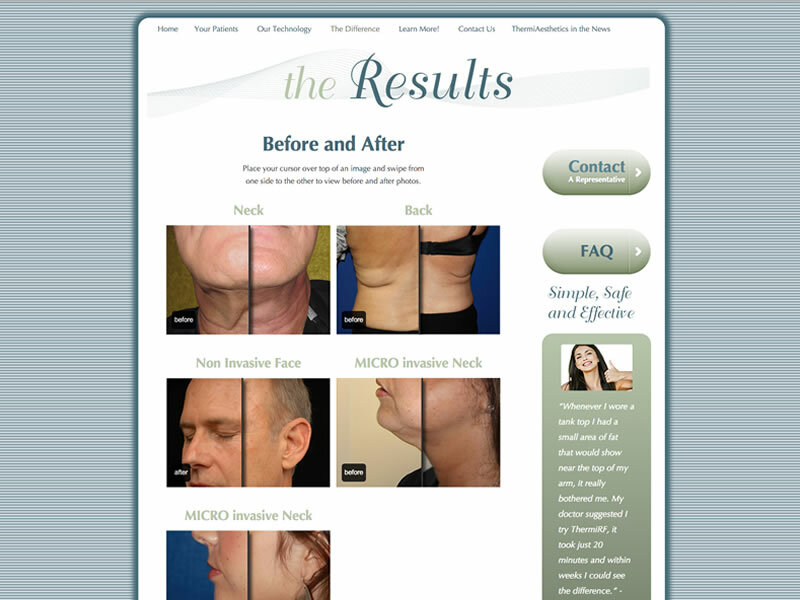 The user can drag the middle bar on the images back and forth to see the before and after results. 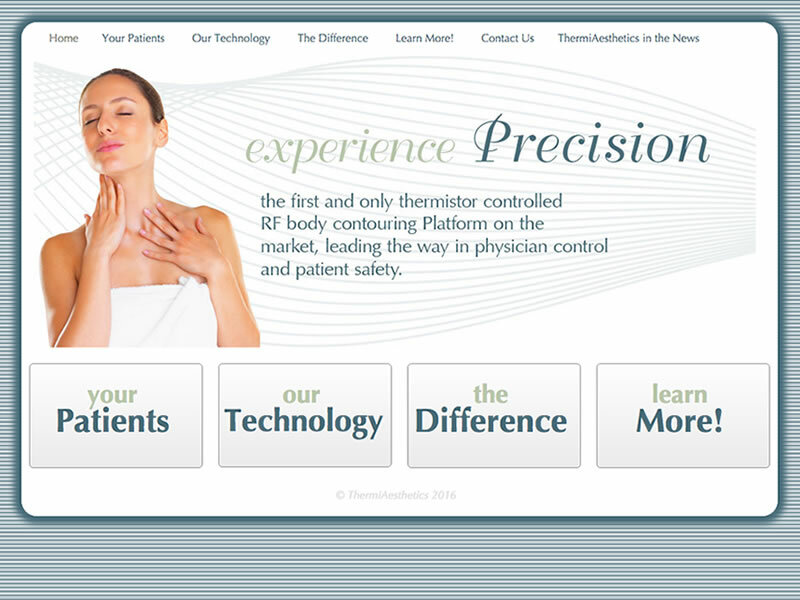 Medical professionals are pointed to the website via a promotional campaign. When the embedded Infusion software contact form is is filled out a sales rep is notified and he or she knows the lead is warm and makes personal contact with the potential customer.